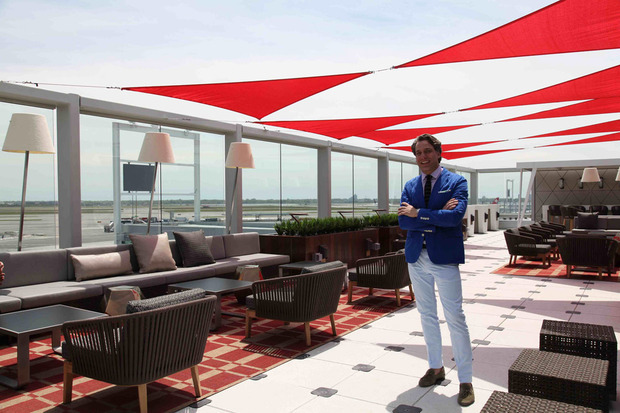 Nice to see that Delta creating an open-air panoramic lounge at its new Terminal 4 at JFK airport, in New York. One of the things I really like at Schiphol airport, in Amsterdam, is the panoramic terrace, but standing there for a while is not that comfortable, specially in winter. Delta's Sky Deck at JFK has been nicely decorated and conditioned, because planespotting and relax do not need to be two separate things. I hope airports are going to take more advantage of the great entertainment their own activity can provide to passengers transiting through them. For example, I got excited on a recent trip to Istanbul when I saw the sign "Terrace" but when I got there it turned out to be a small courtyard with no views, for smokers only. Other airports like Larnaca or Domodedovo and Sheremetyevo airports in Moscow, even London Gatwick!, also offer good views but not sure if deliberately because the planespotter task is not made easy as in Delta's new Skyclub. What's encouraging is that a similar lounge will be opening at Atlanta airport in June...let's hope more airlines and airports follow suit! How to rate the airport experience?